Home health sleep What Happens When You Sleep? Did you know that the hours and quality of your sleep has a huge impact on your mood, energy, and ability to handle stress? The way you sleep, and the amount you sleep affects directly your waking life, including your mental sharpness, productivity, emotional balance, creativity, physical vitality, and even your weight, so it is kind of a big deal. If you can identify with this, you may need to get on a healthier sleep schedule. Sleeping is actually the way your body prepares you for the day ahead, so if you want to use your entire potential for your daily activities, mental and physical, you will need quality sleep. This does not mean you have to choose between sleeping and your responsibilities, the magic about this is that when you start getting the sleep you need, your energy and efficiency will go up. 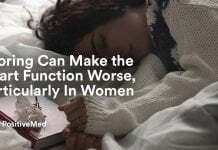 You must take this as seriously as nutrition and exercise, losing even one hour of sleep can affect your ability to think properly and respond quickly. Remember as everything in life, quality before quantity. You can sleep many hours per night but if the quality is poor, you will feel unrested during the day. So how many hours of sleep do we need? Most healthy adults need between seven and a half to nine hours of sleep per night to function at their best, but since every person is different the best way to figure out if you’re meeting your sleep needs is to evaluate how you feel as you go about your day. If you are feeling energetic and enthusiastic and alert, these are good signs of quality sleep. But if you are not sleeping the amount you should, you may not even remember what it feels like to be wide-awake, fully alert, and firing on all cylinders. Lack of sleep not only affects your daily life situations, but it also causes serious health problems . Why is this, you may ask? As I told you earlier it is kind of a big deal, while we are sleeping a lot is going on in our bodies and minds. Sleep has many stages and they are all different and equally important. What Happens When You Sleep? What Are The Stages of Sleep? First is Stage 1, transition: in this stage you are just beginning to fall asleep, you are easily awakened. It lasts about five minutes. Next Stage 2, light sleep: in this stage you are finally asleep, your body begins to relax and your body temperature decreases. It lasts about 20 minutes. 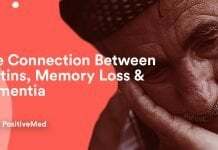 Then, Stage 3, deep sleep: in this stage your brain waves are extremely slow, and it is very difficult to wake you, in fact if you awaken you will feel groggy and disoriented for several minutes. The most damaging effects of sleep deprivation are from inadequate deep sleep, in this stage your body repairs itself and builds up energy for the day ahead. Finally there is REM sleep, where dreaming occurs. In this stage your body movement increases but your arm and leg muscles are paralyzed. In this stage, your eyes are moving back and forth, it is known as Rapid Eye Movement sleep. This stage begins 70 to 90 minutes after you fall asleep. 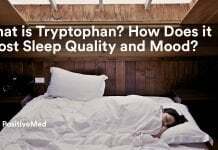 This stage is really important because your brain consolidates and processes the information you’ve learned during the day, forms neural connections that strengthen memory, and replenishes its supply of neurotransmitters, including feel-good chemicals like serotonin and dopamine that boost your mood during the day. You should try to get at least 7 hours of good quality sleep per day. Keep a sleep diary so that you can record how many hours of sleep and quality per day and how you felt during the day as well. 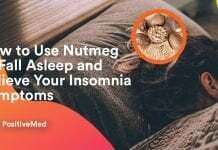 Whenever you can forget about alarm clocks and go to sleep with no distractions, and allow yourself to wake up naturally you are sleeping the proper number of hours at good quality for you. 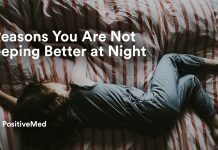 If you have trouble sleeping, try some useful techniques to make you go back to sleep fast. Remember, sleep is very important for the health of your body, and your mind, make it a priority.